Deciding to travel the world is exciting! It’s a bold and awesome choice. But just because you’re adding stamps to your passport doesn’t mean you can’t expand your horizons in more than one way at the same time. We all travel to get some new perspective and pairing that perspective with new knowledge is powerful. So why not boost your journey with some new ideas, too? Getting involved in online education is a way to balance a bunch of your dreams at once. Plus, there are a ton of options that will let you still see the world while you grab that diploma or get a certificate to polish up your resume. Check out these ideas and find a program perfect for you! Want to speak the language of the country you’re travelling to? Duolingo is a free app that lets you study another language at your own pace while giving you badges to show your proficiency on sites like LinkedIn. There are also more intense courses that come with a price tag you’ll be able to find it online, like Rosetta Stone. You can also supplement your language learning by listening to podcasts. Listening to the news and other conversations in a foreign language every day will help you become more familiar with it. If you’re abroad and want to add a skill to your resume or just want to brush up your skills while you’re out and about, there are a bunch of short-term courses that can give you exactly what you’re looking for. Short-term online courses can give you a chance to focus on a specific skill, software, or service. These courses are flexible and allow you to set your own pace. However, the downside of that can be making sure they sure they are challenging or engaging enough to make you want to continue with them. When seeking out a short-term course, look for one that balances positive reviews with evidence of tangible improvements among their students. If you do your research, you are sure to find a course that works for you. If you are looking to branch out in a more significant way, maybe even one that can completely change your future, think about our next suggestion. Now, if you’re thinking about something a bit more long-term, maybe even because your travels have really changed your goals, an online university might be the right choice for you. 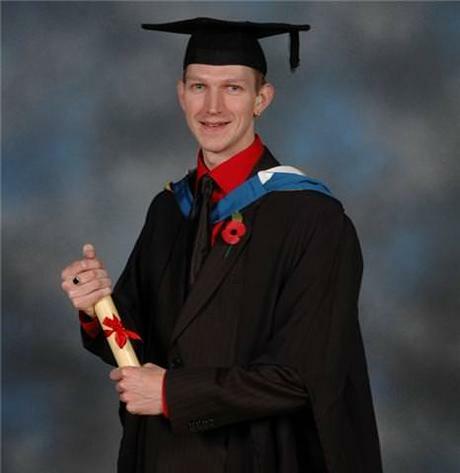 Making a brand new start – I got a degree in Public Relations. An online university should allow you to continue balancing this desire to increase your knowledge in a big way and keep your travel plans moving along. 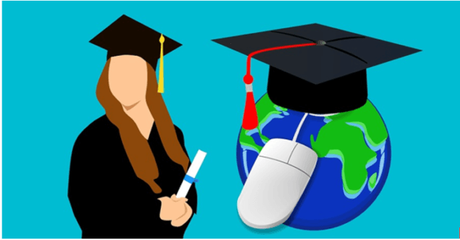 Online universities allow you to get exactly the kind of challenge you are looking for no matter where in the world you are. They offer degrees in a wide range of topics, ranging from a more traditional bachelors degree in IT to a master of leadership online degree. These remote degree programs give you ultimate flexibility and no limits on what you can learn. When you look for an online school, look for one that shows you consistent opportunities for growth. After all, this is an investment in yourself. Look for schools with the same priorities as you and find a program that encourages connectivity. With so many options out there, you’re sure to find something that suits you. All in all, travel should never be a limiting factor in your education. With good planning and a willingness to learn, you’ll be able to balance whatever adventure you’re on with whatever form of education serves you best!